N.I. Zwartble Breeders had a splendid sale at Moira Pedigree Sales Arena! Visitors from as far afield as Fermoy, Ballinrobe, Roscommon etc, came to buy – great to see them – many thanks to these enthusiasts and to our local buyers for supporting the 5th Zwartbles sale at this venue. As the song goes – “it’s a long way from Clare to here”! Much of the credit for the success of this sale goes to Mr Michael Taffee, auctioneer, who patiently coaxed bids from the buyers to meet the satisfaction of the breeders. 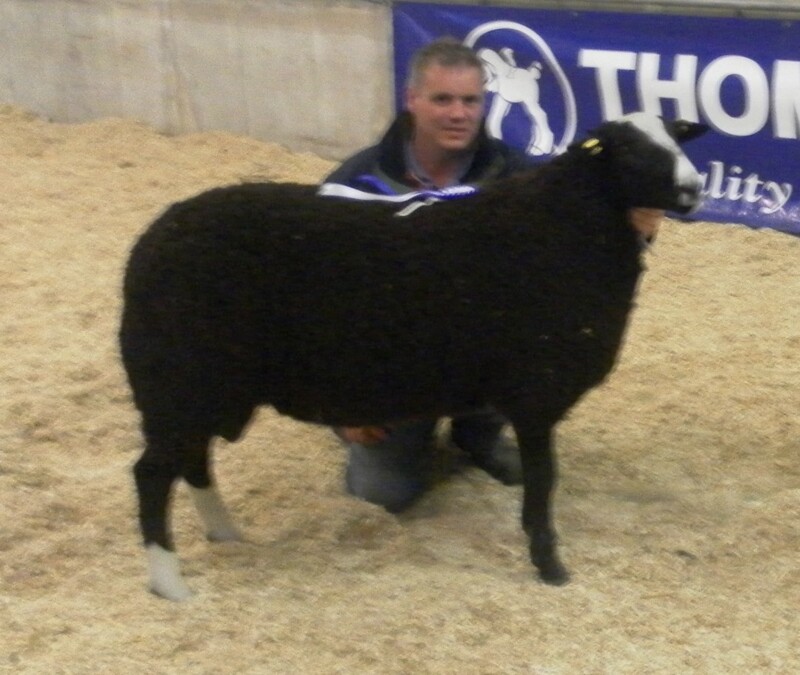 The judge, Mr Roy Graham, who stepped in at very short notice, is a well known judge and breeder of top quality sheep in NI, the Zwartbles breeders are greatly indebted to him for his support. The invited judge from Scotland was unable to travel due to ill health, and we wish him a speedy recovery and will hope to see him next year. Vendors were slow at putting sheep on the market but those who did so, quickly reaped the rewards. It is not, in reality, the breeder who decides the value of the stock but the men at the ringside who quickly price the animals – rightly or wrongly!! We are in difficult times and farmers are very selective on how much and on what they spend their money, but will dig deep when not bidding against a high reserve, which can be discouraging to a possible purchaser. The show champion, Chark Tiger, is a ram lamb with previous winning form from Royal Ulster Agric. 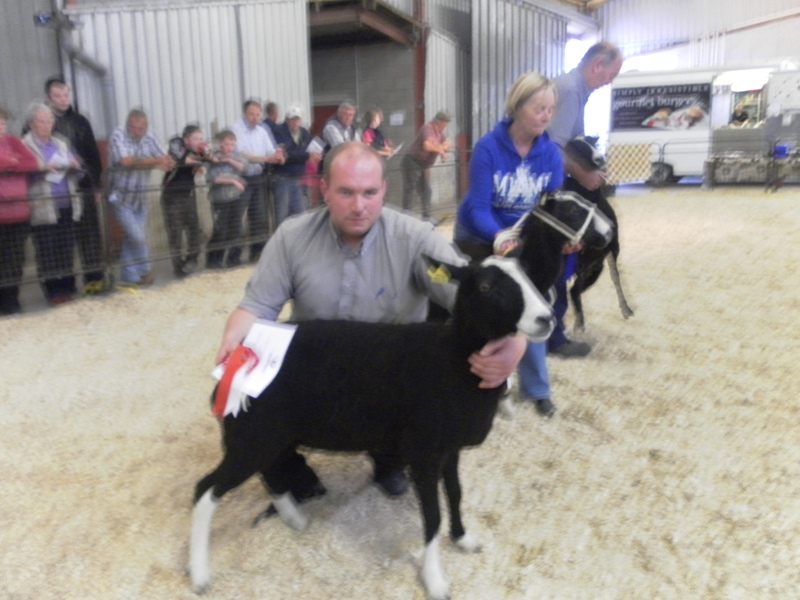 Show and Lurgan Show in June – judges and buyers often do not agree on looks and type etc but they certainly did this time taking this champion lamb to the top price of the sale of £1020. The winning ewe lamb made £470; both these lambs came from the Chark flock of Judy Maxwell (better known for breeding race horses – i.e. Aintree Grand National and Irish Grand National winner Rhyme n Reason). Dean and Mary Cashel’s Hillview flock produced the Res. 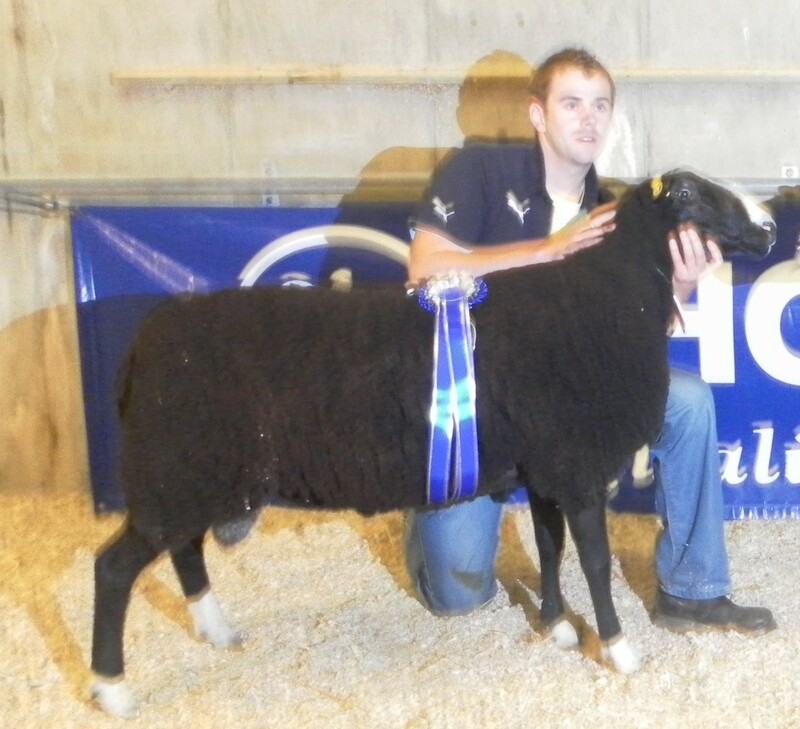 Champion of the show – a smart shearing ram, seemingly named after another famous race horse – Shergar. Mary Cashel and her son Dean keep a small but select and expanding flock in Co. Fermanagh and have enjoyed recent success as winner of the McKee Cup for the 2010 Zwartbles Flock Competition. Paul Gardiner, from Loughgall, exhibited the leading shearling ewe. Unfortunately not many ewes in this age group were on offer, it seems breeders perhaps like to keep this age group to breed on with. 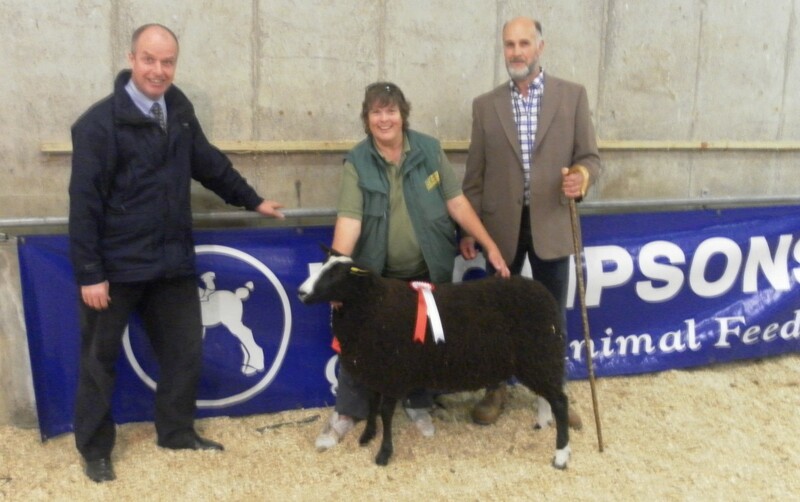 Thompsons Animal Feeds, represented by Raymond Beady on the night, supported the show classes with generous prizes of Thompson Intensive Lamb Pellets. 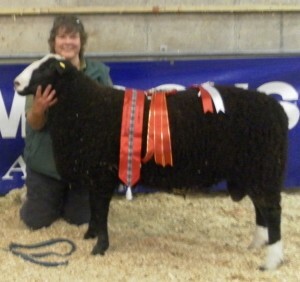 The Zwartbles Breeders appreciate this generous sponsorship and would like thank Thompsons most sincerely. Indeed the champ is Thompsons fed!